My last visit to Colorado National Monument in Grand Junction involved a full day in the park where I took time to sample a wide variety or terrains – from the heat of the desert floor to a hike through the last remnants of a spring snow at the park’s highest elevation. My favorite was the Black Ridge Trail because of the spectacular views back into Colorado’s Grand Valley, but taken together you get a sense of all of the different habitats in the park. Hiking all four in one day is pretty ambitious, and with all of the great restaurants to try in Grand Junction at night, my advice is to break it up over two days and save a little energy for a good dinner and sampling of Western Colorado’s up and coming wine industry. Location: From the east entrance, travel 0.2 miles (0.3 km). Limited parking is on the left. For additional parking, turn right into the Devils Kitchen Picnic Area. The trailhead is shared with two other trails: No Thoroughfare Canyon Trail and Devils Kitchen Trail. Mileage: 4.0 one way (you can always cut it short). Description: Steadily ascending trail that follows the path of a historic lumber and cattle drive road. The park’s geologic story is told almost in its entirety through the layers of rock exposed along this mostly undeveloped route. Enjoy the great variety of cacti blooming in the spring. Location: Three access points: (1) across from the Saddlehorn Visitor Center in the north (Where I started) , (2) accessed by the CCC Trail 3.8 miles (6.1 km) east from the visitor center – trailhead on the right, (3) and at 6.4 miles (10.3 km) east from the visitor center – trailhead on the left. Description: Highest trail in the park with far-reaching views west to Utah canyonlands, east to Grand Valley, and south to the San Juan Mountains. Follows up-and-down terrain of Black Ridge. 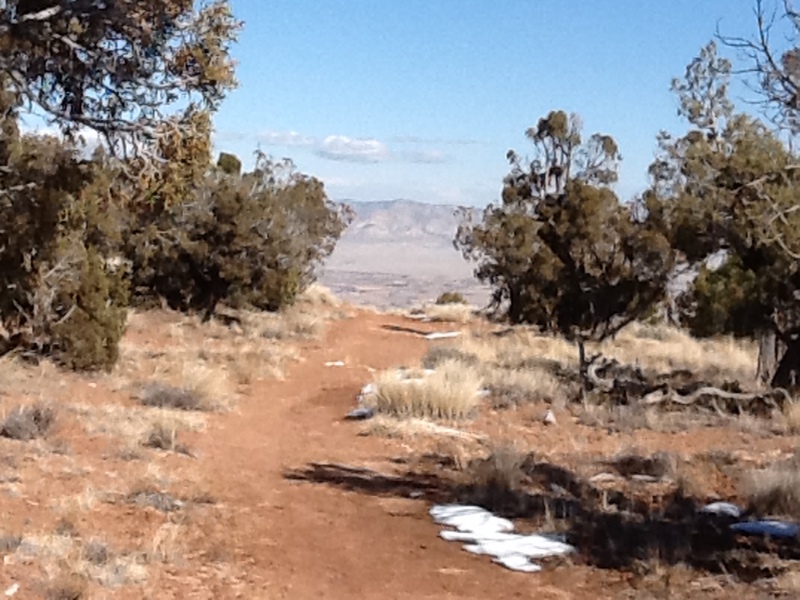 Trail crosses McInnis Canyons National Conservation Area (Bureau of Land Management lands). Location: From the east entrance, travel 0.2 miles. Limited parking is on the left. Description: Called “the crookedest road in the world,” this historic trail has 16 switchbacks. The trail climbs steadily from east to west through Wingate Sandstone. Built in the early 1900s, this route was part of the main road until 1950. Location: From the east entrance, travel 0.2 miles . The trailhead is shared with two other trails: No Thoroughfare Canyon Trail and Old Gordon Trail. Serpents Trail access is across the road. Description: Gradual ascent to a natural opening formed by a circle by huge upright boulders. At the first fork, go right. At the second fork, go left. Follow the trail across the wash. As you proceed up the canyon, you will see the large rock grotto that is Devils Kitchen. Keep on the established trail and follow the carved steps up the slickrock. As you approach the base of the rock formation, go left around it and hike into the rock opening. 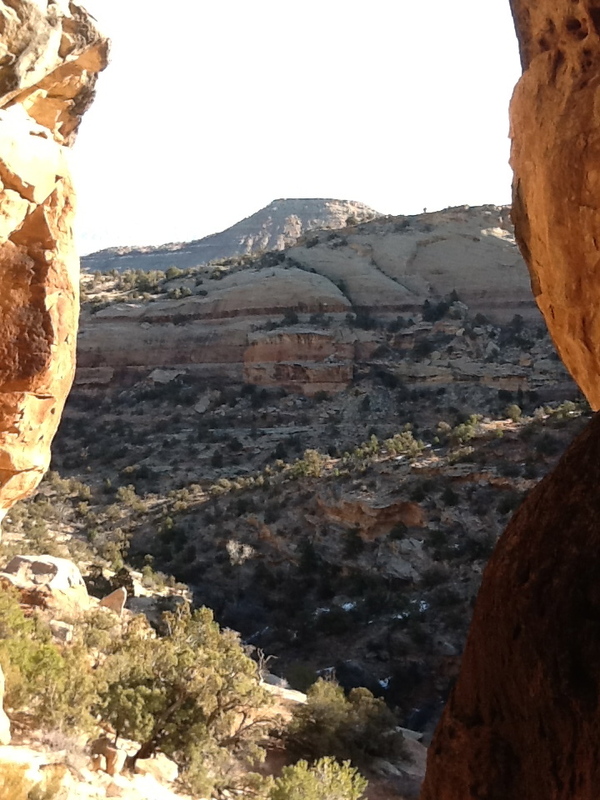 This entry was posted in Uncategorized and tagged Colorado National Monument; Grand Junction. Bookmark the permalink.